Fate: Stricken June 2, 1978; sold for scrap: July 1, 1980. Marc Andrew Mitscher was born in Hillsboro, Wisconsin, on 26 January 1887. He attended elementary and secondary schools in Washington, D.C., and graduated from the U.S. Naval Academy in June 1910. During the next half-decade, Mitscher served in armored cruisers, gunboats and destroyers, then received training as a pilot. 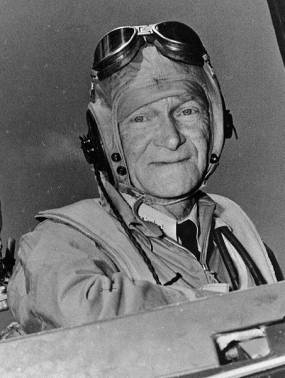 Designated a Naval Aviator in June 1916, he served at Pensacola, Florida until 1917, when he was assigned to conduct experiments with shipboard catapults. Later in 1917 and in 1918, he served at Naval Air Stations, commanding those at Rockaway, Long Island, and Miami, Florida. 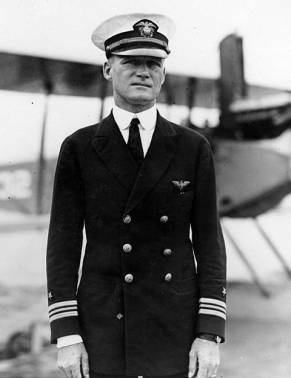 In May 1919, he participated in the trans-Atlantic flight attempt of the seaplane NC-1. Through the next two decades, Mitscher had a variety of important aviation duties in Washington, D.C., San Diego, California, and on board ship. He was a member of the Navy team in air races held in 1922 and 1923, helped place the new aircraft carrier Saratoga (CV-3) in commission in 1927, was Executive Officer of USS Langley (CV-1) in 1929-30 and of the Saratoga in 1934-35. In 1937-39, he commanded the seaplane tender Wright (AV-1) and Patrol Wing ONE. Following two years as Assistant Chief of the Bureau of Aeronautics, Captain Mitscher was Commanding Officer of the carrier Hornet (CV-8) in 1941-42. During this time, his ship launched the April 1942 Doolittle Raid on Japan and participated in the June 1942 Battle of Midway. 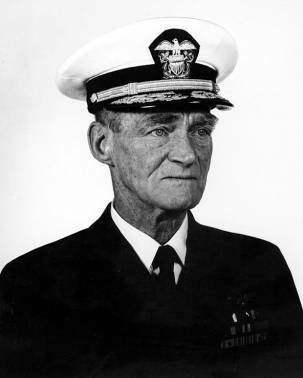 Promoted to Rear Admiral, he next commanded Patrol Wing TWO and Navy air units in the Southern Pacific during the Guadalcanal and Central Solomons campaigns of 1942-43. In the last five months of 1943, he commanded Fleet Air, West Coast. 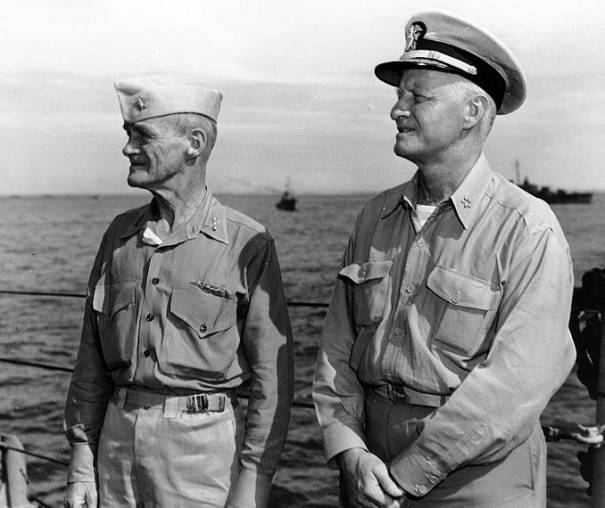 After service as Commander Carrier Division THREE during the Marshalls campaign, Vice Admiral Mitscher was placed in command of the Pacific Fleet's "fast carriers". 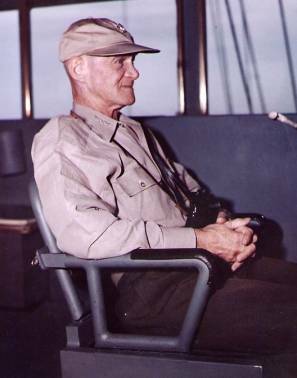 In that capacity during 1944, he took part in raids on Japanese-held Pacific Islands, the campaigns to capture the Marianas, Palaus and Leyte, and the Battles of the Philippine Sea and Leyte Gulf. 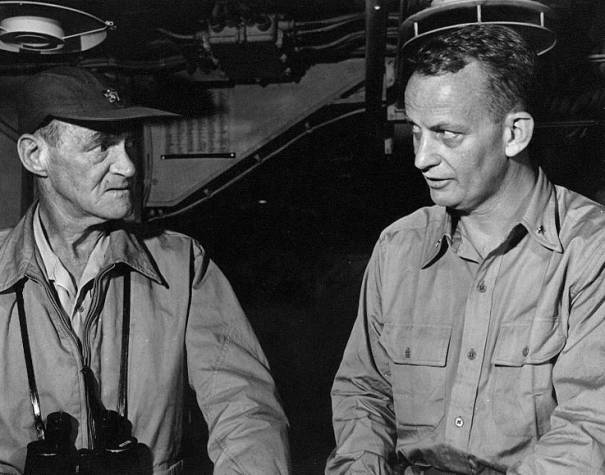 In January-May 1945, as Commander Task Force 58, he led air assaults on Iwo Jima, Okinawa and the Japanese Home Islands. 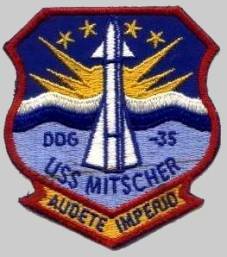 In July 1945, Mitscher became Deputy Chief of Naval Operations for Air. 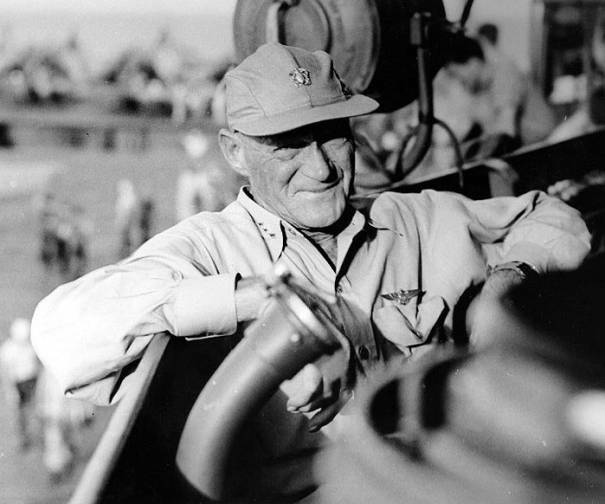 During March-September 1946 he commanded the Eighth Fleet during the Navy's first major post-World War II combat training exercises. 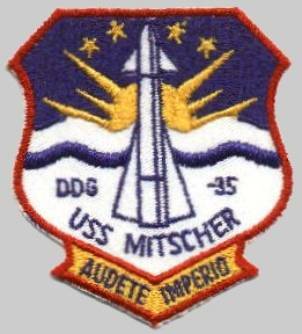 Admiral Mitscher was then assigned as Commander in Chief, U.S. Atlantic Fleet. While holding that position, he died of a heart attack on 3 February 1947. USS Mitscher (DL-2/DDG-35), named for Admiral Marc "Pete" Mitscher USN (1887–1947), was the lead ship of her class of destroyer of the United States Navy. Originally designated DD-927, she was laid down by the Bath Iron Works Corporation at Bath, Maine on 3 October 1949, reclassified as a destroyer leader and designated DL-2 on 2 February 1951, launched on 26 January 1952 by Mrs. Marc A. Mitscher, widow of Admiral Mitscher and commissioned on 15 May 1953, Commander Terrell H. W. Connor in command. After initial shakedown exercises off Cuba, Mitscher returned to Boston for further modification, followed by another shakedown cruise to Guantanamo Bay, ending 31 August 1954. Homeported thereafter at Newport, R.I., she conducted exercises off the east coast until 3 January 1956, when she sailed on a good-will cruise to England, Germany, and France, returning to Rhode Island 10 February. For the next 5 years, she continued her east coast operations, deploying annually either to the northern or eastern Atlantic for NATO exercises. On 9 February 1961, she departed her new homeport, Charleston, S.C., and steamed to the Mediterranean for her first 6 month tour with the 6th Fleet. Such deployments over the next 4 years involved her in further NATO exercises as well as 6th Fleet exercises. Spring 1964, departed Newport, RI for 6 month tour with 6th Fleet. In August 1964, while in the Mediterranean, she stood off Cyprus to aid in the evacuation of American nationals, and then steamed through the Suez Canal to patrol the Red Sea and the Persian Gulf. 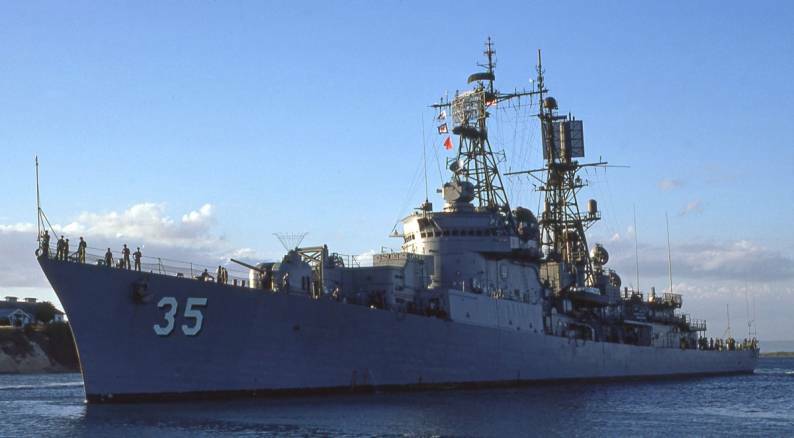 Returned to Mediterranen for 4 month tour with U.S. 6th Fleet in 1965, returned to Newport, RI December 1965. 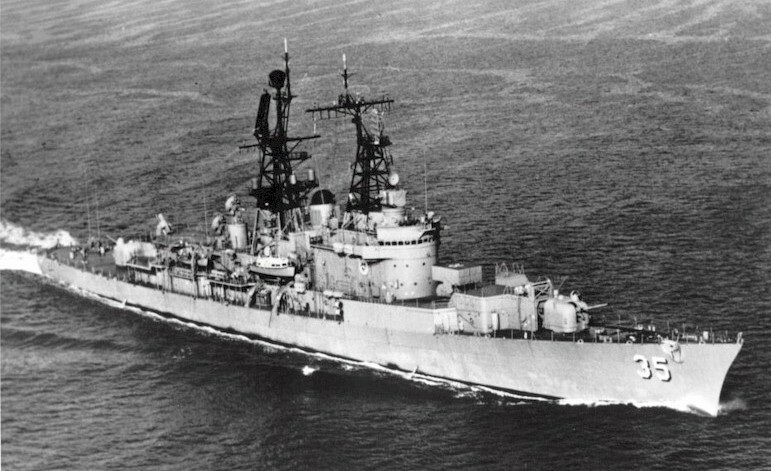 On 2 March 1966, Mitscher departed Newport for the Philadelphia Naval Shipyard. 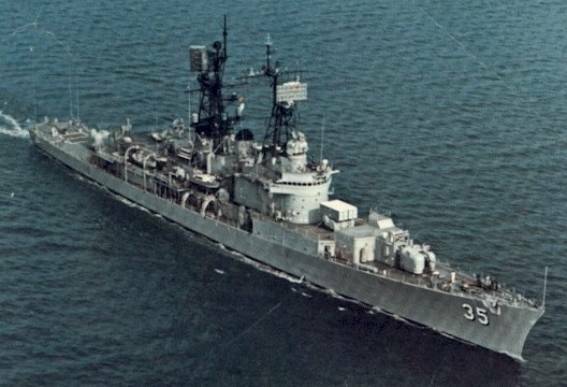 There, she was converted to a guided missile destroyer at between 18 March 1966 and 29 June 1968 and designated DDG-35. Mitscher was decommissioned and stricken from the Naval Vessel Register on 1 June 1978, and sold for scrap in July 1980.